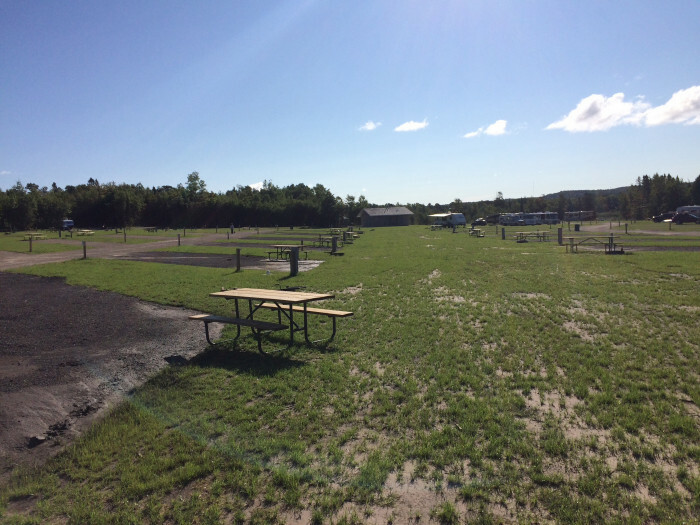 Ask fellow campers about "Pictured Rocks RV Park & Campground" and nearby attractions. This is a new RV park, just opened this season. The park has no trees, so no obstacles. Roads are wide compacted gravel. 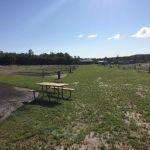 Sites are asphalt treated compacted gravel. We were here during the worst rain the area has had in history but there was little to no pooling or run off damage. Whoever graded this park did an excellent job. 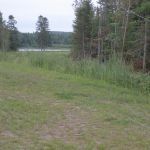 Site are level, wide and deep. They don't have any true pull throughs but there are sites that they tell you to pull through across the grass. Water pressure was excellent, WiFi was excellent and fast, no cable and we could not pickup any local stations on the Digital antenna. Satellite reception was excellent with no trees to interfere. Sewer was toward the front of the site which required a 20 foot sewer hose run. Office was still under construction. There is no direct beach access, but there is a public beach just a half mile down the road. We would stay here again. There are no amenities for kids. 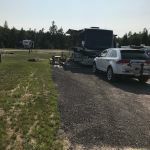 We camped at Pictured Rocks RV Park & Campground in a Fifth Wheel. Definitely do the sunset Pictured Rocks Cruise. The view are gorgeous and the setting sun Brings out the color in the rock. Foggy's Just down the road is a great place to eat. Pictured Rocks National Lakeshore about 12 miles: hiking, scenic boat trips (Munising), guided kayak trips, many waterfalls in area. Take the boat cruise to Pictured Rocks! Take the Pictured Rocks cruise to appreciate their beauty. Very nice free beaches nearby. Multiple warnings posted about kayaking on Lake Superior due to the cold water and quickly changing conditions. If you choose to go out, only sea kayaks 14' or longer are considered safe. There are many smaller lakes close by. We enjoyed Bruno's Run Trail but it is a 12 mile hike; not the 9.1 mi as stated in AllTrails or 10 miles as mentioned on the trailhead post. 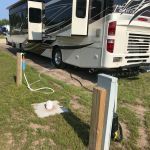 Are you affiliated with Pictured Rocks RV Park & Campground ?